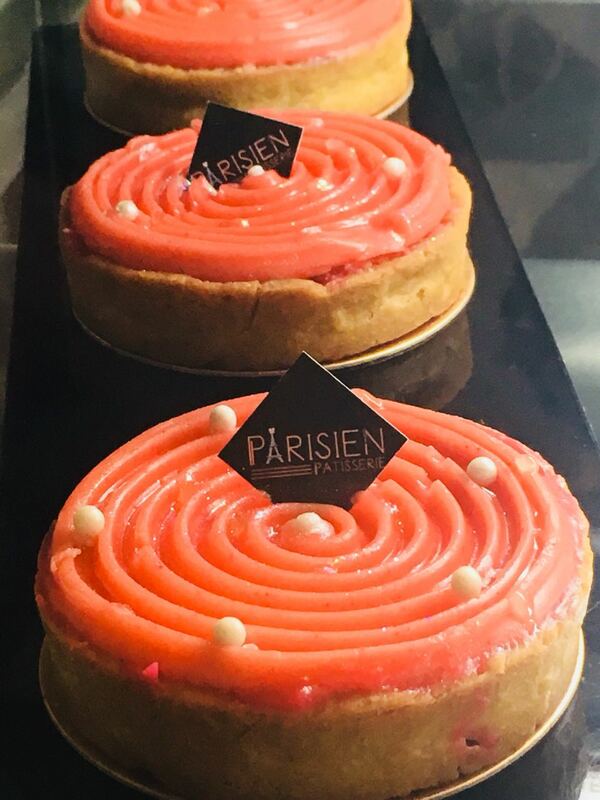 Happy to have been here for a review session recently :) Just cross the road from High Street Phoenix main entrance and walk straight for literally 2 minutes to reach this cute little patisserie. 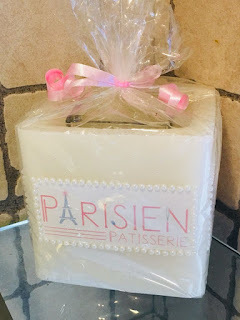 Very small place, more of pastry-cake-macaroons-chocolates pick up place, it has been decorated nicely to give little Parisian feel. 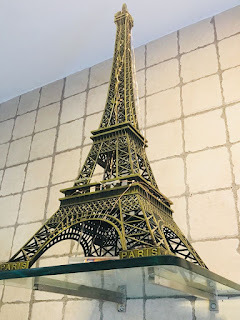 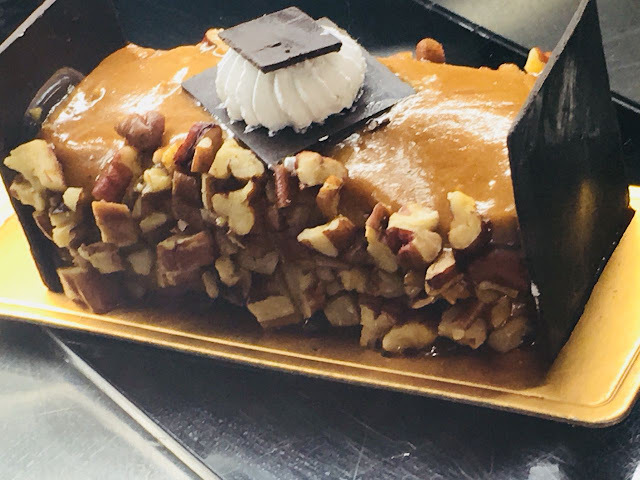 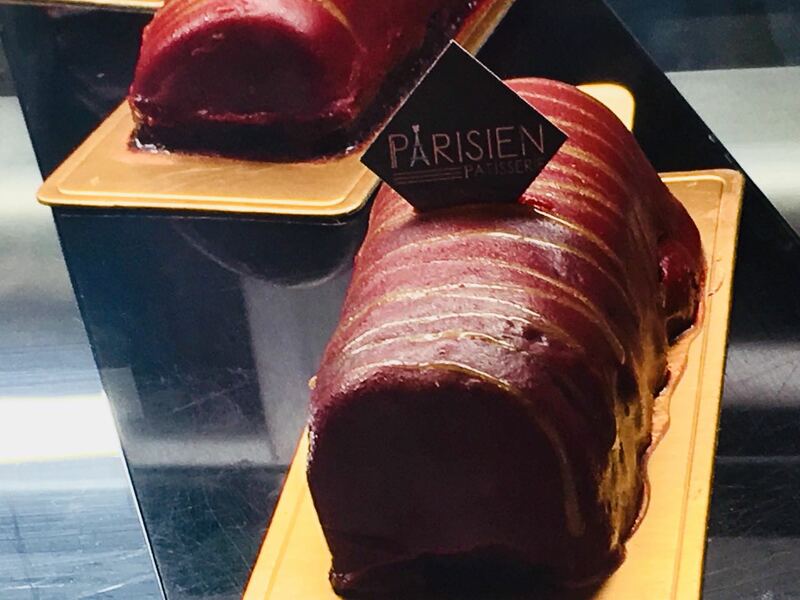 Staff is very polite and the display instantly gives a premium feel as it is not loaded with usual chocolate/ black forest/ red velvet/ mix fruits cakes, pastries and puffs. Rather beautiful and unique offerings make up the display. Prices are indeed on higher side, but each delicacy is made of quality ingredients and has unique flavor profile, so prices seem well deserved for gourmet feel and taste. We started off with LE BRESIL TROPICAL - Pineapple Compote with hint of Mango and Coconut Mousse presented in a Martini glass in layers, this is just the kind of light and refreshing dessert that we would want on a hot summer day, the only complaint is that it got over very fast :P If you do not like very sweet dessert, go blindly for this. Next up FRENCH FRAMBOISE - Raspberry & Dark Chocolate Ganache, Berry Compote & Chocolate Sponge, this is perhaps the prettiest one and also a must-try. 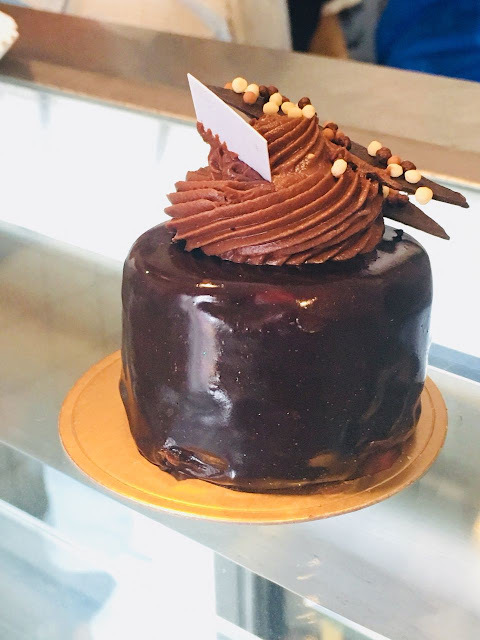 Be aware, it is dense and every mouthful probably contains 50,000 calories (or so it will feel in the gym later :P) But honestly, the combination of chocolate and tangy raspberry is beautiful. 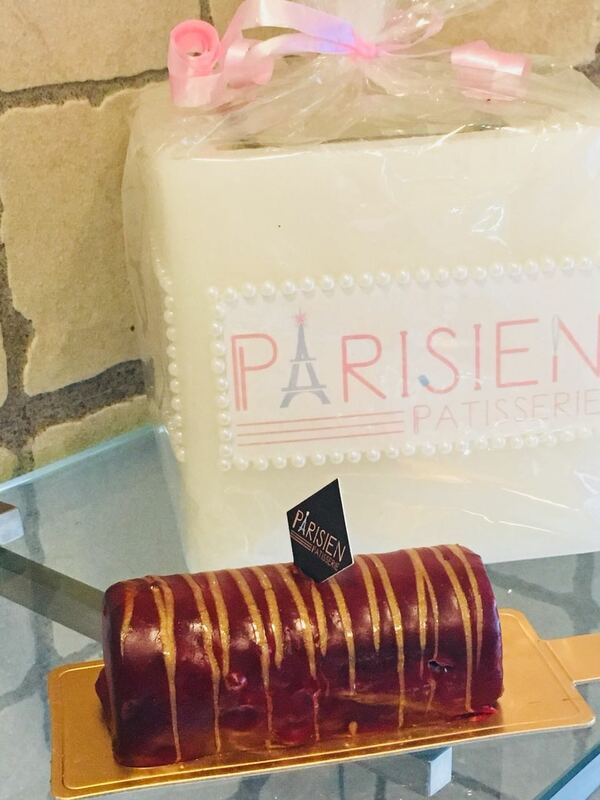 Not tooooo tangy, but enough to make it memorable and look at that red color, isn't it inviting. 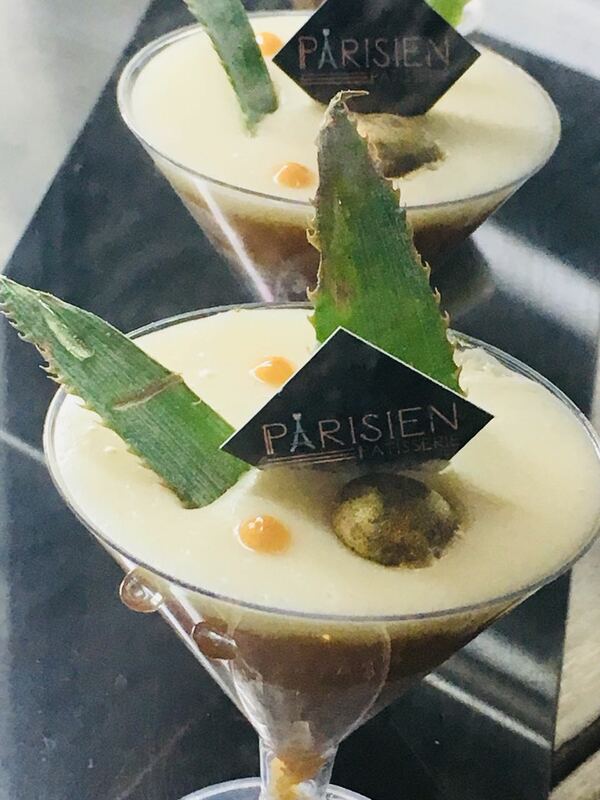 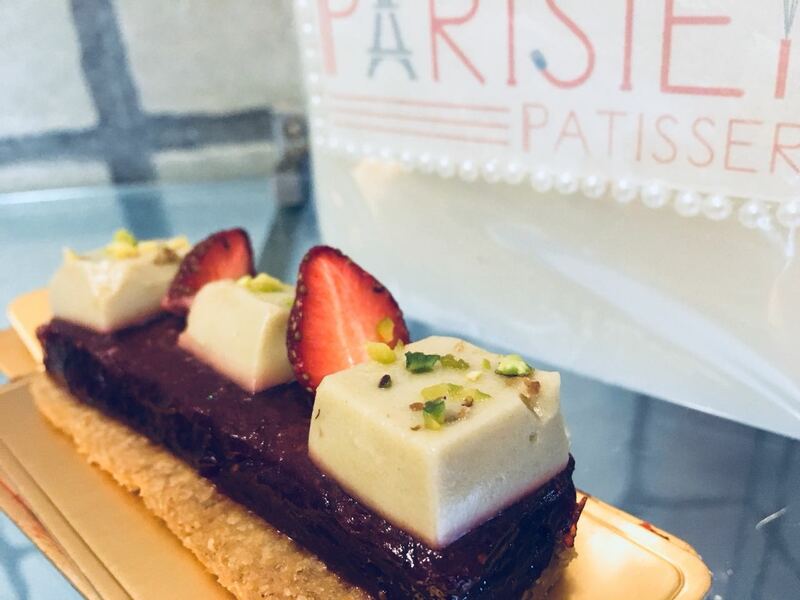 Finally, my sister's most favorite TARTE AUX FRAISES - Multi layered dessert consisting of French biscuit, Strawberry Gelee, Mint Mousse cubes garnished with Pistachio, a melange of fresh flavors. 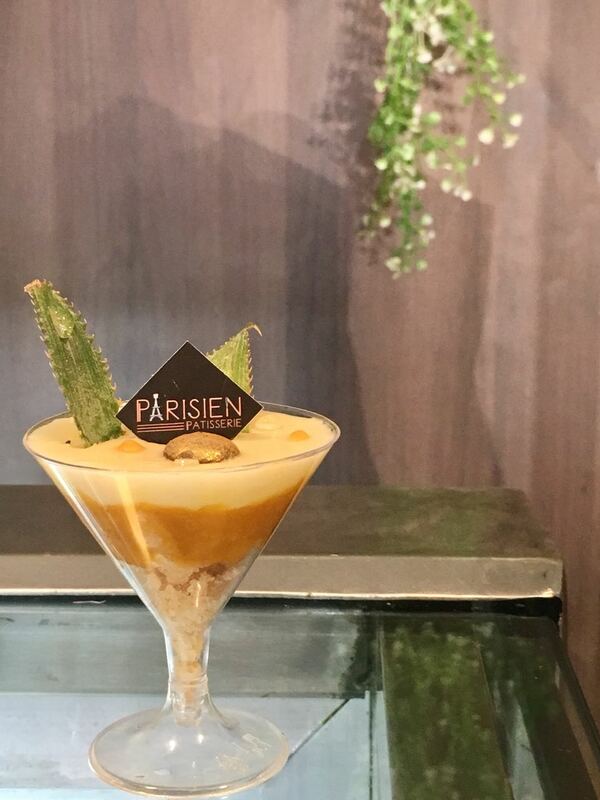 Perfect for hot afternoon, this one is light + tangy and that hint of mint in the end is explosive to say the least.